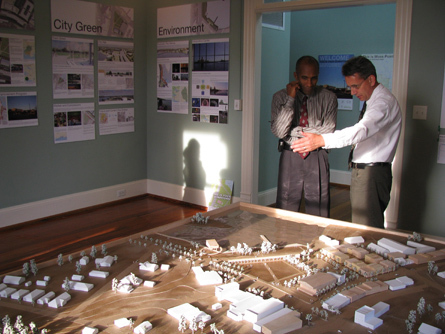 Outgoing Moss Point Mayor Xavier Bishop (l) and GCCDS Director David Perkes discuss the model of downtown Moss Point. 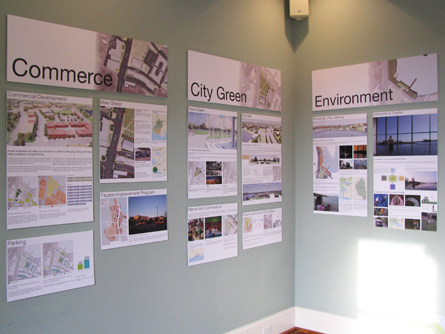 A portion of the exhibit discussing the topics of commerce, City Hall, and the environment. 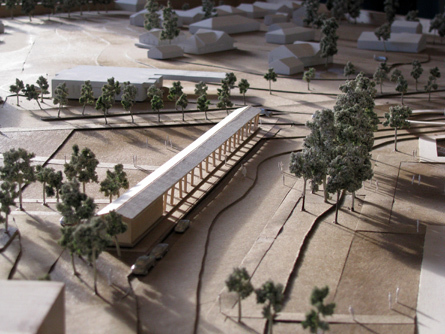 A riverfront pavilion is shown along Denny Street in the model of downtown Moss Point. 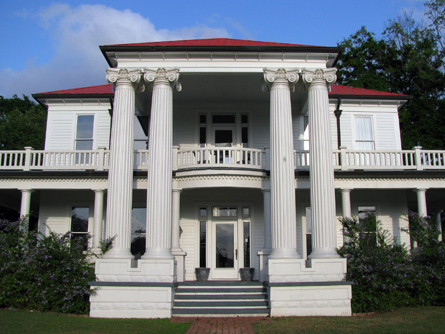 The Scruggs Center is the location for the exhibit, which will be on display through June 1st. 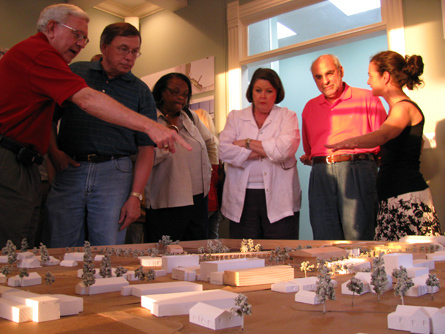 Open hours are Saturdays from Noon until 5 p.m. and Tuesday and Thursday from 5 p.m. until 8 p.m.
Exhibit attendees, including GCCDS designer Nadene Mairesse (r), discuss the model of downtown Moss Point. 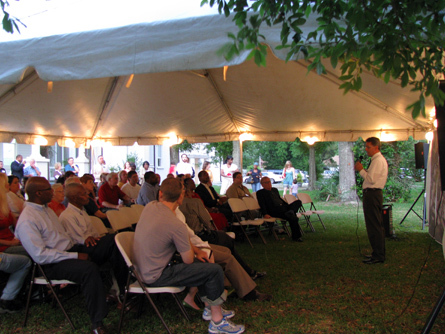 GCCDS Director David Perkes presents the Moss Point exhibit in front of the crowd of city officials, community leaders, designers, and interested citizens. See the rest of my photos on Flickr (65 photos).